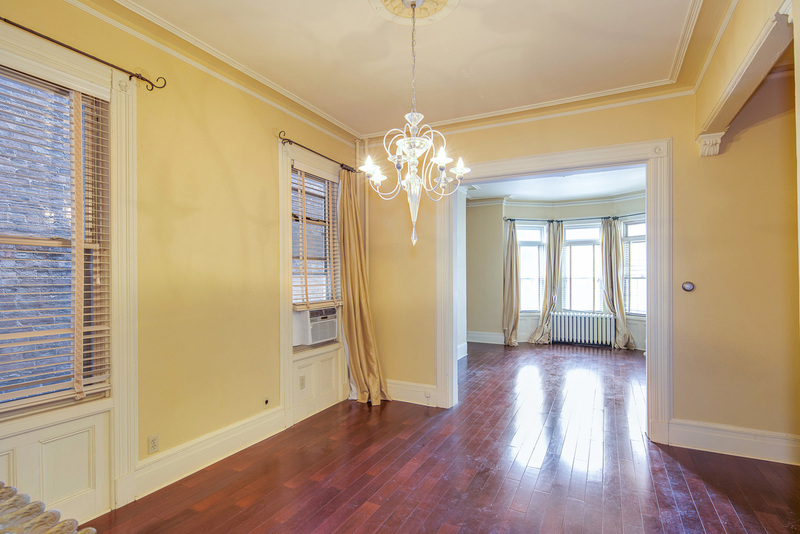 Spacious Victorian two-family home with parking and a yard in Weehawken! The first floor apartment of this home features a dining room, living room, large kitchen, two bedrooms, a modern bathroom, high ceilings, large windows and a sun porch leading to your private back yard. Second apartment features a dining room, living room, large kitchen, two large bedrooms, another modern bathroom, high ceilings, large windows plus a third bedroom/den. Bonus features include an abundance of original details such as plaster moldings, hardwood flooring, steam radiators, over-sized window moldings. Situated on 26th and Palisade, you'll find easy access to shopping, restaurants, parks, playgrounds, and the Weehawken reservoir. The NJ Transit bus picks up just outside of the home (only a few stops to Port Authority).